Dads in Italy, how does six months off work grab you? If the man of the house is looking forward to resting his poor feet on Fathers’ Day this weekend, he might have a shock when he gets to Italy. You get paternity leave, but are expected to chip in with more childcare these days. All fathers want the best in life for their children and grandchildren, which can mean working lots of hours to make sure they have everything they need, or perhaps moving them to a new country to find a better life. 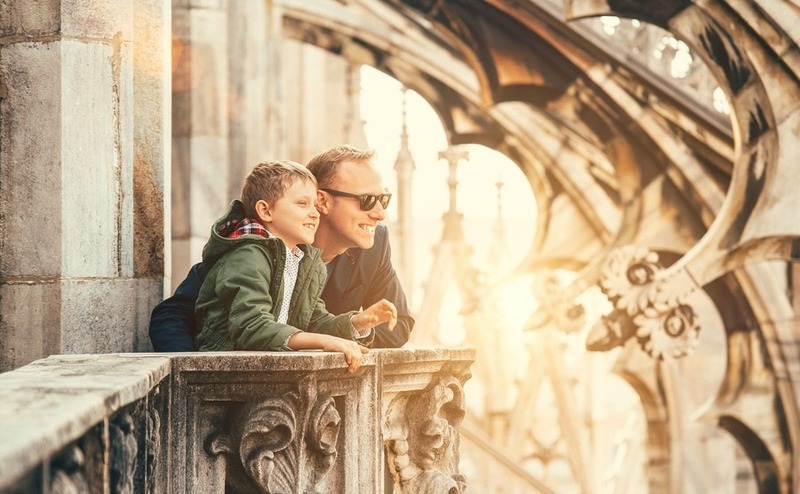 In Italy it is no different and on Father’s Day, children show their appreciation for everything their dad does for them, and the grandfathers whom they respect and adore. Fathers educate their children in Italian history, local traditions, crafts and customs. In Britain Father’s Day is celebrated on 18th June, but in Italy Festa del Papa is on 19th March to coincide with Saint Joseph’s Day, or Festa di San Giuseppe in Italian. Saint Joseph’s fatherly role in the life of Jesus Christ is considered a symbol of love, compassion, kindness, generosity and acceptance. On this day families will put on an extra big feast for lunch, including traditional biscuits and of course a glass of wine for Papa. Traditionally Italian mothers run the household and take care of the children. The father is the breadwinner and spends some of his free time with his male friends in the Piazza. But things are changing, not least because most new mothers return to work within a year. The family (La Famiglia) is a major part of Italian life and just as Italian mother’s baby their sons, the fathers dote on their little girls, who manage to wrap them round their little fingers. Often, grandparents and aunts and uncles live close by and also get involved in child care, and cousins are treated more like brothers and sisters. 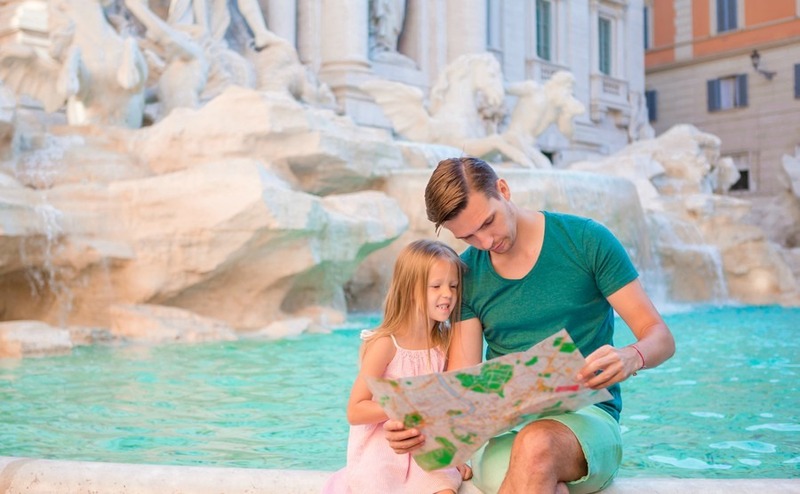 If an uncle or grandad is good at a particular subject the children will go to their house for help with their homework and fathers educate their children in Italian history, local traditions, crafts and customs. When I have passed our local Italian school at 1 o’clock it seems to be mainly the dads and grandads who are picking up the children, while the mothers are either working or at home preparing lunch. But, by 2 o’clock the whole family will be sitting down at the table to eat together and talk. This is when Dad can hand out his fatherly wisdom, such as “Always make time for an espresso”, “Do business face to face in the Piazza, not on the computer”, “Eat your pasta, because it’s a cure for everything from depression to fatigue”, and most importantly, “Only drink homemade wine, not the bottled stuff from the supermarket, or it will give you a headache”. Depending on the father’s job he may have to go back to work in the evening, but the children will still be up when he gets home and they try and have a light dinner together, even if it’s well past 9pm. If you are ready to buy in Italy, come and see properties and get free advice from lawyers and currency experts in Manchester next Saturday, at Your Overseas Home, 24th June. 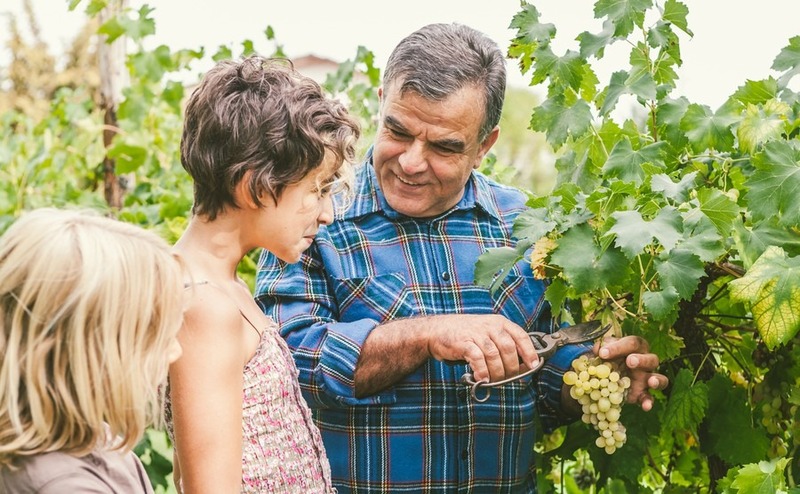 In rural areas and small towns, especially in the South, the father might work in the family business and then train his children ready to join him when they are older. This includes all types of jobs from electricians to bakers, farmers to running a pizzeria. It’s common for adults in their 20s and 30s to live with their parents’ right up until they get married and start a family of their own. Even then, fathers encourage their offspring to live nearby so mama can help with cooking and the children. When a baby is born fathers get one day of paternity leave at full pay. That may not sound overly generous, but either the mother or the father can then take parental leave when needed until the child is 12 years old. For up to six months of parental leave a father is paid 30% of his usual salary, as long as the child is under six years old. According to national data based on the Italian Labour Force Survey (Istat, 2011), of working parents with a child under eight years old, 45% of mothers and only 7% of fathers have taken up parental leave even once. When both parents are working it is quite common for childcare to be done in the family home by either a relative or an employed nanny. Trying to balance work with spending quality time with your children is challenging whatever country you live in, but taking your children to live in Italy does have its benefits. If you are planning to work self-employed from your new home, you will be able to spend more time with your children and family life will become a higher priority. Evenings out at a restaurant will involve the whole family and there are lots of opportunities to enjoy sports and traditional Italian events together. Moving from a British city to a safe Italian town, surrounded by nature and countryside, also has its obvious benefits. Even if your children are grown up and still living in Britain, the weeks they come to visit you will involve more quality time than if they were living in the same town in the UK. Grandchildren also love visiting grandad in Italy and learning all about the grapes, olive trees and animals. 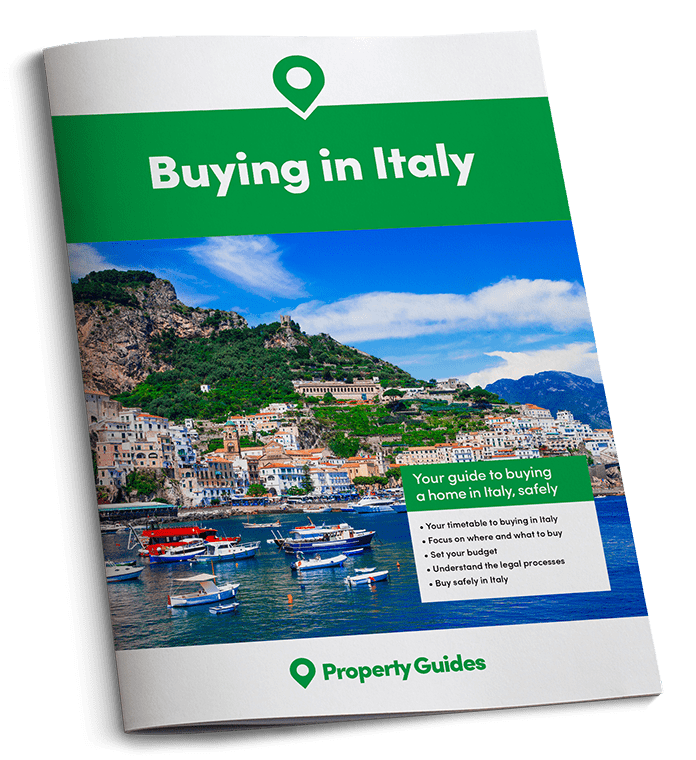 If you are concerned about maintaining your EU rights in Italy after Brexit, download our Guide to Living in Italy after Brexit.